I’ve already gave the basic Shingara recipe . Only stuffing is different here . We used beef/ goat liver and potato as the stuffing , otherwise the process is still the same . Here’s the link of basic Shingara recipe, please go through the link and follow the instruction in making shingara . I’ll add the recipe of the stuffing in this post . For special Garam Masala Powder for liver grind cumin ( jeera) , fennel( mouri), nigella ( kalojeera), whole coriander ( dhone), fenugreek ( methi) , cardamom ( elach) and little pachforon or Indian 5 spice together into a fine powder . 1 . Wash the liver and marinate them with the special masala powder for 15 minutes . 2. Heat oil and add the cinnamon stick, cardamom , bayleaves. Add the chopped onion and fry until translucent. Add the ginger-garlic paste, chili-turmeric-coriander powder, salt. Cook very well adding water little by little . Add the potatoes. Now add the liver and cook very well. 3. Add little water and when the liver is done add the split green chilies and garam masala powder. 4. Dry out the gravy completely. 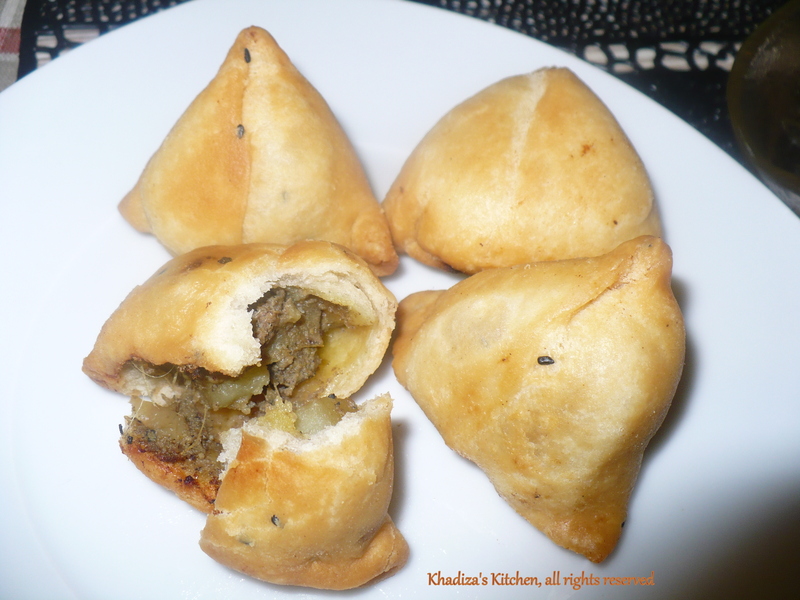 This entry was posted in Glossary / Notes, Snacks, Snacks and Lighter Fare and tagged Kolija Shingara, Koliza shingara, samosa, Shingara. Bookmark the permalink.